Google Maps is a clever tool that I use to save places I visit or want to visit. I recently found out you can create your own maps which can then be shared. I’m a Google Maps novice so this was my first attempt. In this month’s What’s Brewing newsletter from CAMRA a story appeared about the seven pubs that have appeared in every Good Beer Guide. Colin Valentine, the chair of CAMRA, has set himself the challenge of visiting all of them to celebrate the 40th anniversary of the Good Beer Guide. If you have managed to drink in all of them email tom.stainer@camra.org.uk from CAMRA and tell him your story. The only I’ve visited is The Star Tavern in Belgravia. This was where the Great Train Robbery was planned. Here is a link to take you to a public Google Map I’ve created so you can find them. 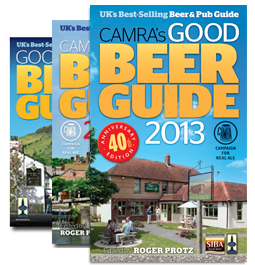 This entry was posted in Uncategorized and tagged CAMRA, good beer guide, pubs, real ale, seven pubs on March 10, 2013 by Ben Black. Nice work. I’ve been to the Square and Compass near Swanage. Well worth a visit.